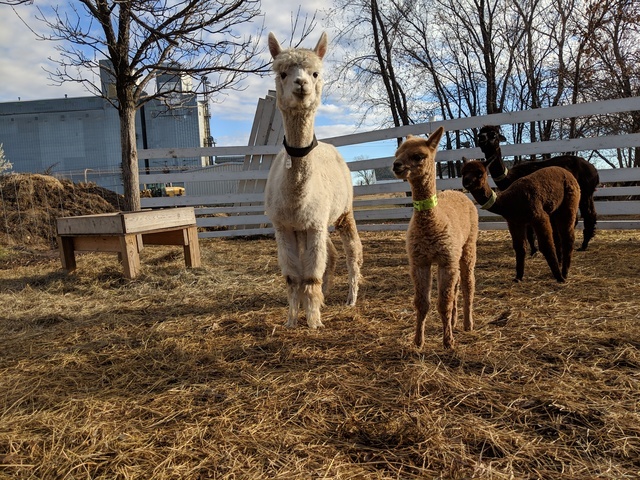 Aspenglow is the granddaughter of the famed Accoyo Ppperuvian Augusto (who sold in the 2000 Breeder's Choice Auction for a then world record of $226,000). 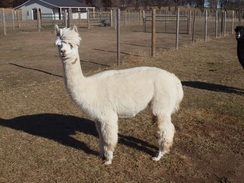 Her dam Honey also passed on her renowned lineage as the granddaughter of Peruvian Royal Fawn. 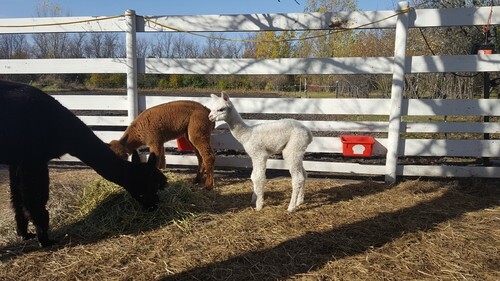 Aspen's 3/4 Peruvian lineage includes PPPeruvian Augusto and Peruvian Royal Fawn, Snowmass Guinevere and grey Sir Lancelot. 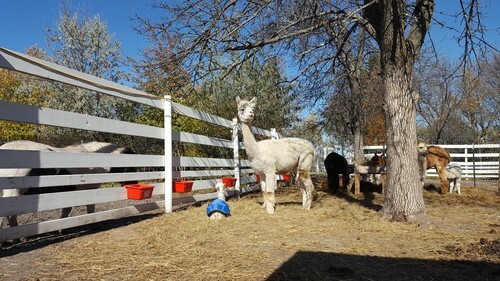 Her fine heritage includes highly desired Accoyo genetics. 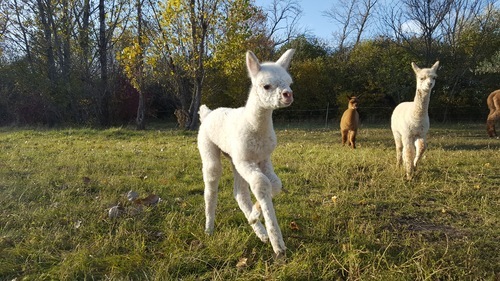 Phoebe delivered a handsome dark fawn male cria in Oct 2018 by OTRA Runner's Shock Top. 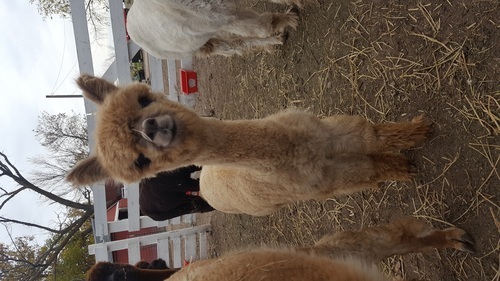 This young male is NOT part of this sale price. 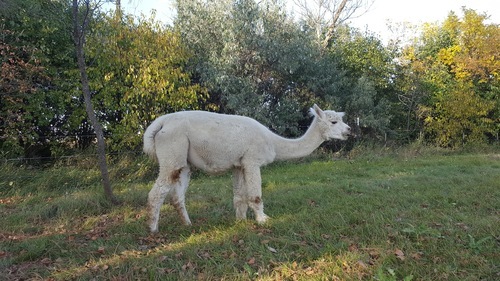 Phoebe is currently open, but could be bred.